Kitchen Month here on Rambling Renovators is drawing to a close and I'm wrapping it up with a giveaway. Hooray! Tell me, did you enjoy the mostly kitchen-related posts these last few weeks? I'd love to hear what you thought of having a monthly theme. From my end, dedicating posts to all things kitchen helped me to focus and also forced me to pause and remember all the things I love about this part of my home. 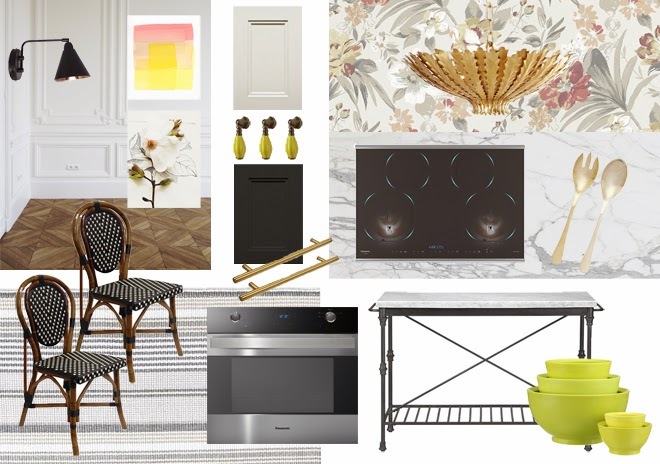 And though I love my kitchen, it hasn't stopped me from continually pinning pretty images and thinking about what my next dream kitchen would look like. I'm drawn to kitchens that look collected over time. This one embraces traditional French style: marble countertops; bistro chairs; a classic black, white, and natural wood palette highlighted with decorative mouldings and stunning parquet floors. But great kitchens are also the ones that invite lingering and have a sense of informality. You can achieve that by mixing styles and materials: think juxtaposition. The ticking stripe rug, the feminine floral wallpaper and the warm tones of the lighting and playful hardware tell you this is not just a place for serious cooking. And while you might think the sleek designs of the cooktop and convection oven would only work in more modern settings, I think they look just as at home here. Using modern functional appliances doesn't mean your kitchen has to be hard-edged, cold and contemporary too. 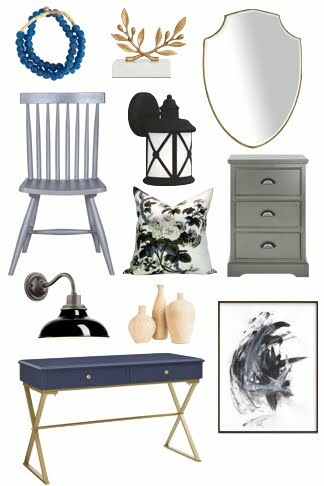 If only I had a mansion in the south of France to bring this look to life! 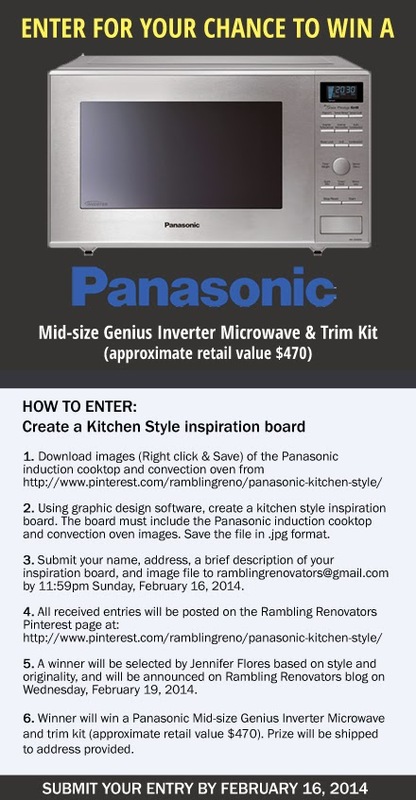 Now its your turn... create your own kitchen inspiration board for your chance to win a Panasonic Genius Inverter Microwave and trim kit valued at $470! We actually installed a Panasonic inverter microwave when we renovated the kitchen and it still works great. I especially love how it cooks and reheats food evenly, no more burnt outsides and ice cold frozen insides. See here for full contest rules and regulations. 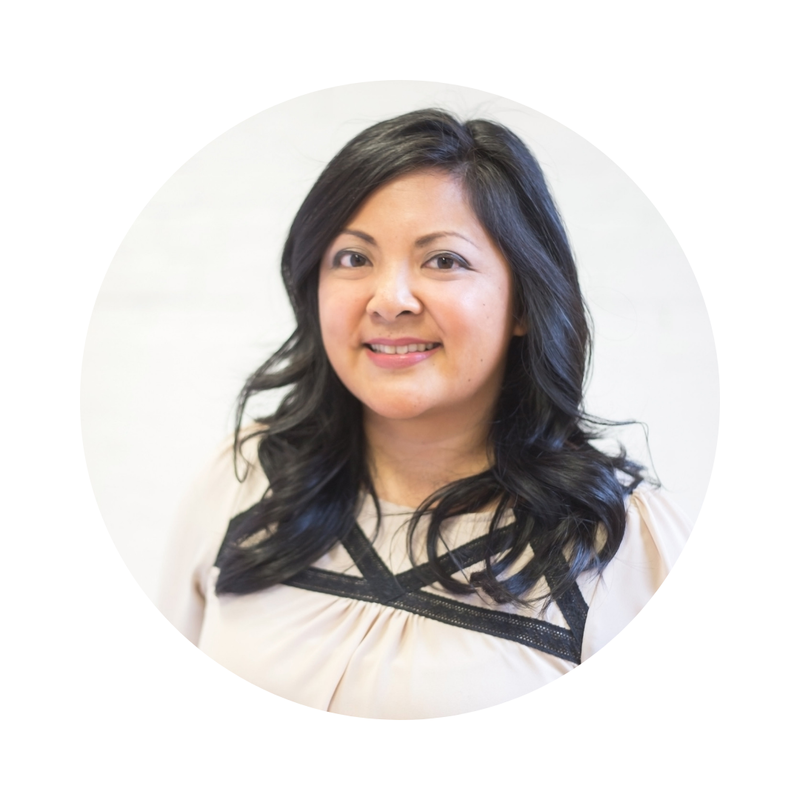 I can't wait to see your kitchen style ideas. Good luck! UPDATE: And the winner of the Panasonic Genius Inverter Microwave is... Tara! Congratulations! Thank you everyone for entering. You can check out all the fabulous entries here.